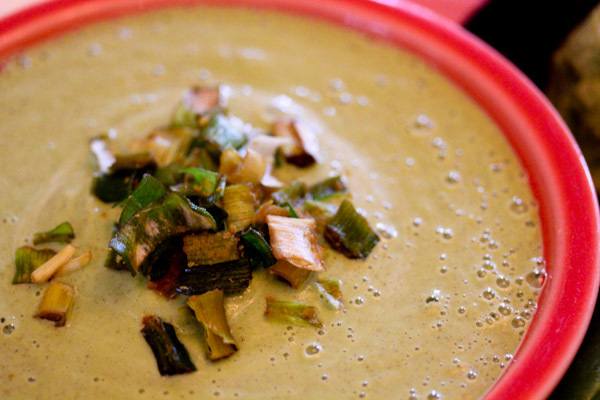 I decided to create a raw asparagus soup recipe and let’s just say there is such a thing as too much asparagus condensed and pureed into a soup – ugh! One day I’ll reattempt this soup when the bitter, sour flavor escapes my memory! 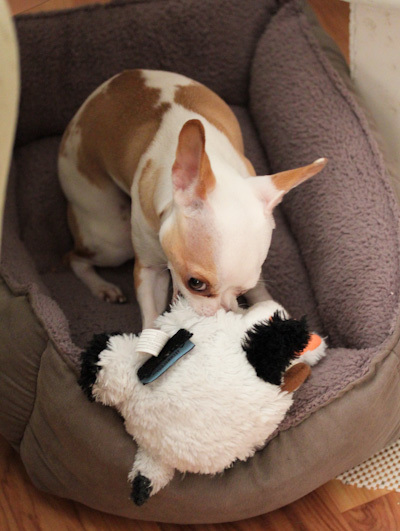 I felt better after a long play session with this little guy. And snapping therapeutic pics of our blooming plum tree in the sunset. But still fried tonight after another busy day at work, I decided to have a simple toddler-style finger food dinner starting with tempeh tots, a food that’s so ridiculously easy to create and faster than actually baking frozen tater tots. And they’re super fun! Just heat 2 tbsp. 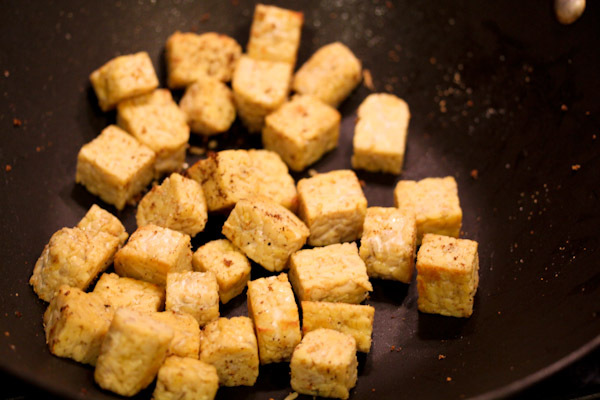 of olive oil in a wok over high heat and chop a package of tempeh into 1/2 – 1″ cubes. 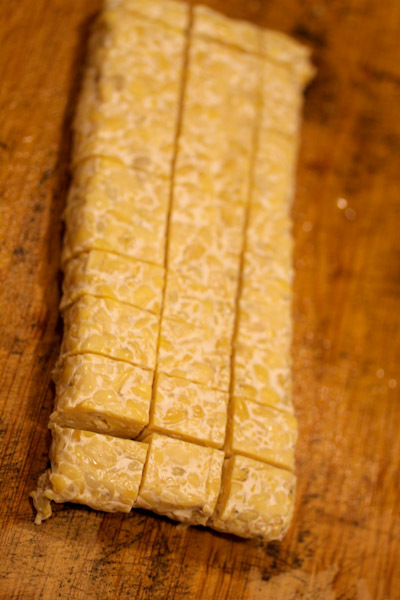 Toss the tempeh cubes into the wok and stir fry until the edges are golden. Then sprinkle salt, onion powder, and a pinch of cayenne powder into the wok. I can thank Instagram for the seasoning inspiration. 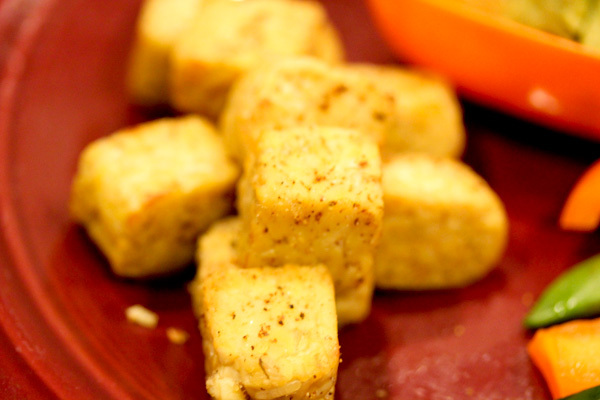 Then stir fry until cubes are coated with spices and crispy and golden on the outside. Serve and enjoy! 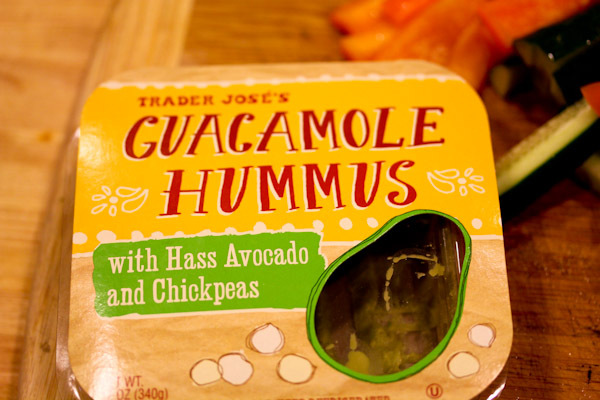 I also chopped up some veggies to dip in Trader Joe’s Guacamole Hummus to complete my finger food dinner. But oh so tasty and comforting after a nutso day. The tempeh tots taste a lot like tater tots. They just have about 42 times the protein and fiber. Okay, maybe not that much. 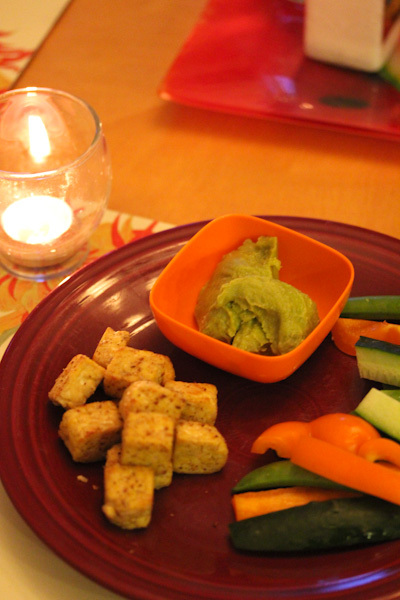 But a fabulous way to break out the ketchup and relive childhood while still eating healthy. Or tricking a toddler into eating more protein I suppose. I need to make these…small child, love of ketchup, better than tater tots. I need these! 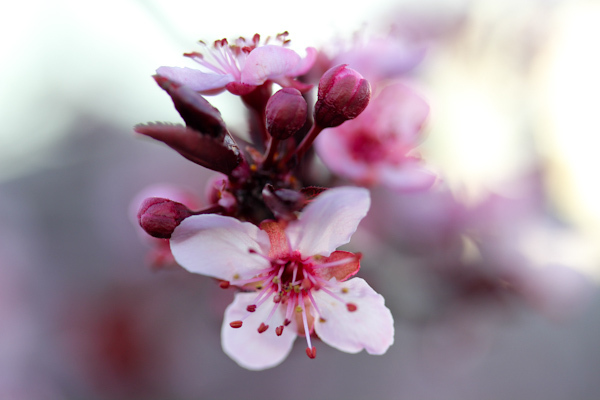 blooming plum tree in the sunset = HEAVENLY! Well this looks easy enough! Thanks for the idea about tempeh, I have a package in the fridge I forgot about. Looks like I’ll be making this today for lunch. YUM! I think I’ll dip them in BBQ sauce. 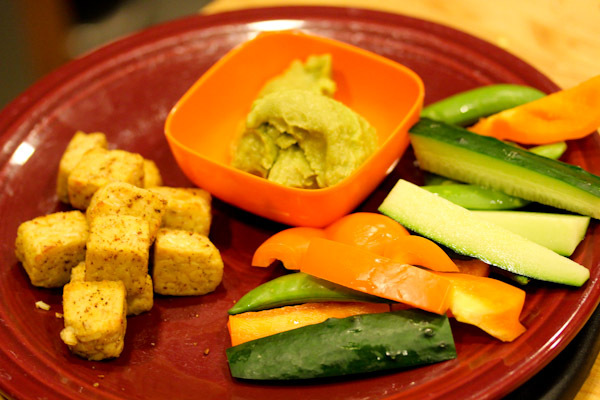 Tempeh Tots sound great! Got a pack in the fridge as well. Yum! 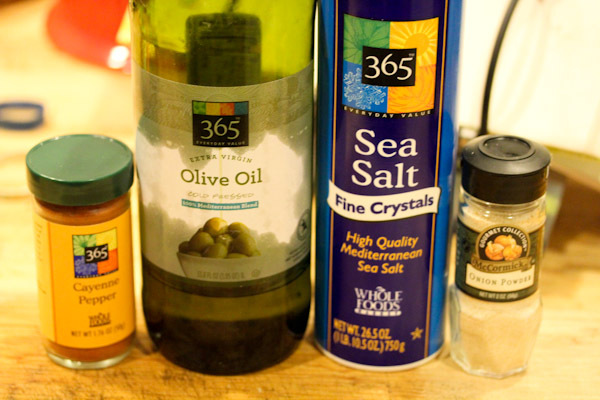 Pinned your recipe post, thanks.